Why are health campaigns important? The people in Ecuador are so poor that they cannot afford medical treatment.For this reason most children have never had any health care.When children are affected by sicknesses such as skin diseases (eczema, etc. ), worms, infected wounds or other illnesses they are left to themselves without any medical help or assistance. Thus, we decided something has to be done about this. 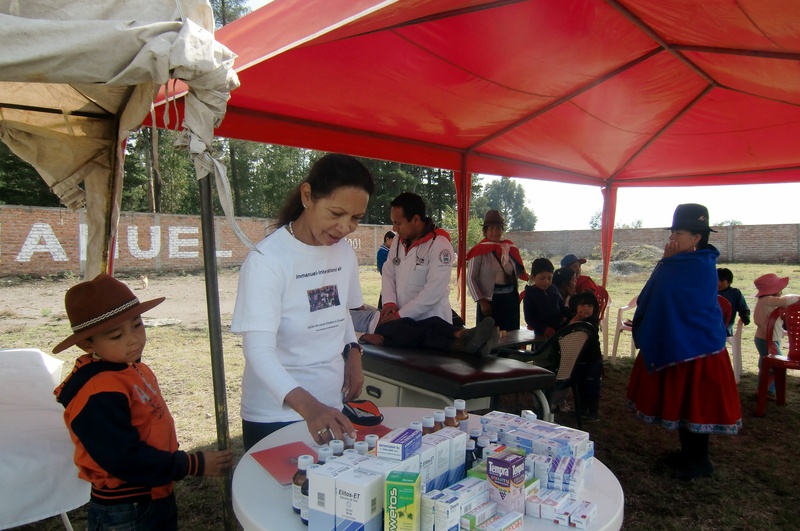 We organized health campaigns, where we arranged for doctors to come to Riobamba to provide free medical check-ups, treatment and medicine for the underprivileged children. These campaigns take place on our premises. In April 2013 our director Pastor Juan Cabezas arranged for a general practitioner and an eye specialist to come for one day and provide necessary medical examinations on the children free of charge. For many it was their first ever medical check–up. About 50 children came. Many were helped quickly and were given the necessary drugs and medication to take home. The eye specialist also examined the children. Children with an eyesight problem were given a pair of glasses. It touched our hearts to see the joy on the faces of mothers and their children – tears of joy were shed at receiving help which they did not need to pay for. Early August 2012 our director Pastor Juan Cabezas arranged for another group of missionaries from Guayaquil to come and visit our children´s home. The missionaries gladly provided free health care (medical examination and treatment) to all who were seeking medical help. We are so thankful to have received free medical help and assistance for the people of Riobamba. In October 2011 a group of missionaries came over from USA. Several doctors treated children and adults. The people waited patiently until it was their turn. All were so thankful for the free treatment and the opportunity to see a doctor. Whoever wished, received prayer as well. 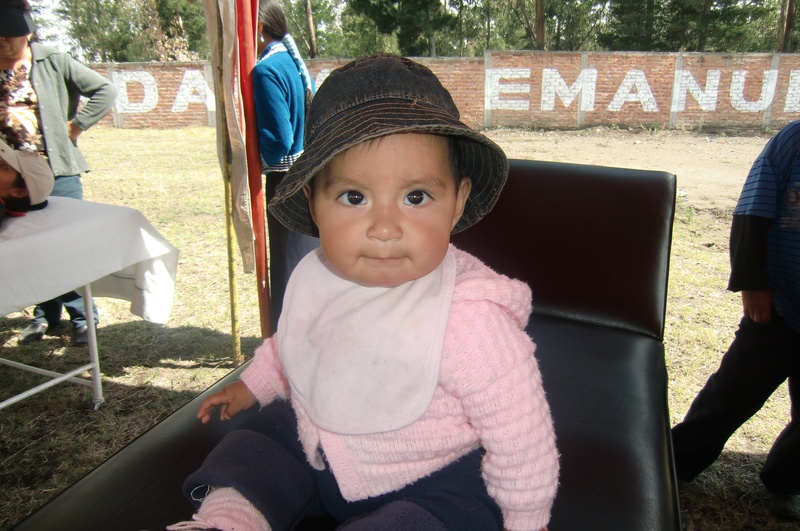 On our premises in Riobamba 120 children received free medical check-ups and treatment. Two doctors worked around the clock .Many of the children were suffering from bowel disease, had skin problems or were suffering from malnutrition. The mothers were overjoyed to see their children receive excellent medical care – for many the first time ever. With a health campaign we had our first unofficial opening on our premises. Immanuel-International e.V. organized for two doctors to come over to treat children from underprivileged families.Although the information had been passed on short term via a local radio station and by word of mouth, about 80 children could be treated free of charge.Diverse infections were treated. Families were given medicine and important vitamins.